HPA-D or Adrenal Fatigue? Whether we call this problem adrenal fatigue, adrenal fatigue syndrome or HPA axis dysfunction, what’s important for you to know is that it’s extremely common in the modern world, and almost certainly something we have to address in the majority of our patients in order for them to recover. We believe that is impossible to successfully treat any patient with a chronic health condition without addressing the HPA axis. The HPA axis affects nearly every cell and tissue in the body. It has a particularly strong influence on the immune system, mechanisms that drive inflammation, and glucose regulation, factors that are involved in nearly every modern, chronic disease. This explains why stress is linked to a dizzying array of conditions, ranging from infertility and dysmenorrhea, to psoriasis and eczema, to IBS and IBD, to depression and anxiety, to virtually all autoimmune diseases. Advance functional medicine practices replace the concept of adrenal fatigue for the more accurate and scientifically proven HPA-D axis (hypothalamic-pituitary-adrenal dysfunction). In many if not the majority of cases where people are diagnosed or self-diagnosed with adrenal fatigue, they don’t actually have low cortisol. 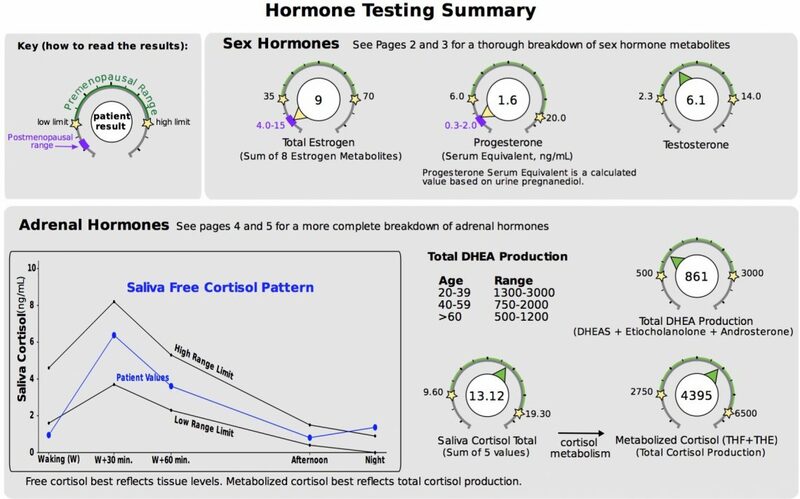 Is possible to have a low free cortisol, as measured on a saliva or urine test, but normal or even high metabolized or total cortisol. Measuring saliva and urine metabolites of cortisol is the best way of estimating overall production and its body function.